Anne is a registered and board certified Art Therapist with the American Art Therapy Association (AATA) and a Licensed Mental Health Counselor, who for the last twenty five years has worked with adults and children in various therapeutic settings, including day programs, a psychiatric hospital, senior centers and in home sessions, utilizing the arts as a healing modality. She specializes in working with seniors and adults with disabilities. 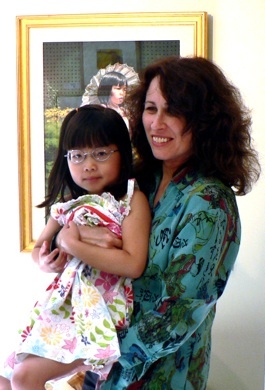 Her work experience has included providing expressive therapy groups for adults with mental illness on the inpatient and outpatient units at the Cape Cod & Islands Community Mental Health Center, was staff therapist for South Bay Mental Health, and facilitated art therapy groups at The Cape Museum of Fine Arts and The Cape Cod Conservatory for Music and Art. She also works privately for various human service agencies throughout the Cape. Currently, Anne provides art therapy services to individuals with disabilities at Community Connections, Inc., Transitions Centers, Inc., and The Cape Cod Challengers Club. Anne offers art therapy services: individual, groups and workshops. Anne graduated from Pratt-Phoenix School of Design, NYC, with a certificate in Magazine and Book Illustration; she earned a Bachelors of Arts degree in Art and Education from Marymount Manhattan College, NYC, and a Masters of Arts in Expressive Therapy from Lesley College Graduate School, Cambridge, MA. As a fine artist, she works in oil, acrylics, pastels, and is an exhibiting member of the Cape Cod Art Association (CCAA), Falmouth Artists Guild, and the Chatham Creative Arts Center. She has been childrens’ art instructor for CCAA, the Falmouth Artists Guild and the Cotuit Center for the Arts. © 2018 Anne Hitch All Rights Reserved.